The dust is settling from this year’s Midem 2017 conference in Cannes, where Music Ally’s editorial team of Stuart Dredge and Eamonn Forde reported on more than 30 panels and keynote sessions between them. That’s a lot of #content to navigate through, so we’ve drawn it all together in this post, grouped into keynotes and individual themes, and picking out a highlighted quote or two from each session with a link to our full report. Read on for the summaries, which we hope gives you an overview of the key talking points in Cannes this week. If we had to pick ‘the trend’ of Midem 2017, it would be China. Across several sessions, some startling numbers and insightful views were shared. But India and Latin America were also sparking debate. A panel with Tiantai Law’s Cherry Chunfei Guo; Ultimate Music China’s TC Pan; Amusic Rights Management’s Billy Koh; and Outdustry’s Ed Peto. Highlight: Pan on the big-tech strategies. “All the big portals like Tencent, Alibaba and Baidu are investing heavily to buy exclusive copyrights from even the three majors,” he said. “As they invest so much money in these copyrights, they have got to make it back one way or the other. Ad-supported is just not the way. It takes too long and the money is not coming in as quick as just getting people to pay for it. The big platforms will definitely push for the paid market to be even more mature.” Currently, 15-20% of consumption of recorded music in the country is Anglo-American. This, the panelists agreed, is only set to grow. A session gathering streaming services from various parts of the world: iMusica, Anghami, Napster, Hungama, Trace and ELLO. Highlight: Middle Eastern service Anghami’s CEO Eddy Maroun revealing its latest stats. “We are now at around 41 million users, but we also need to grow our revenues so that everyone is happy,” he said. “We’re not just in growth in terms of numbers, but also in terms of revenues.” Anghami’s 41m users generate 650m streams a month currently. 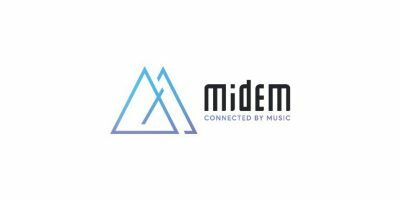 Tuesday was Midem’s ‘Streaming Day’ with a strand devoted to discussing trends in and around streaming. Meanwhile, Deezer’s keynote focused on the opportunities and challenges around this market in 2017. What’s next for music-streaming services? Will music fans want to ‘stream the studio’ in hi-res? A panel with 7digital’s Pete Downton; MQA’s Mike Jbara; Qobuz’s Malcolm Ouzeri; Sony Music’s Andre Stapleton; and Universal Music’s Ty Roberts, with DEG’s Marc Finer moderating. A session clearly intended to bang the drum for hi-res audio sparked into life when Ouzeri took issue with research cited by the DEG as proving younger music fans will be hot for hi-res. “When you go to them and say how much they’re going to spend on hi-res music, are they going to spend 20 euros a month, when they have so much trouble spending 10 euros a month at the moment?” said Ouzeri. How can indie music companies succeed in streaming? Music Ally is a partner for the Midemlab startups contest, helping in the process of choosing the 20 finalists. In Cannes, we reported on each of the four category-pitching sessions, and were impressed by what we saw and heard. HumOn won this with its app that turns people’s humming into music – in the style of their choice. The app has been in beta-testing for a year on Google Play, with 300k downloads so far “without any marketing activities”. CEO David Choi explained that while users can share their tracks on various social networks, they also have the option to buy the copyright so they can use the music commercially. The other finalists were Roadie 2, Studytracks, Uberchord and Skoog. Truelinked won the music discovery and distribution category. CEO Sune Hjerrild described it as a “procial network” for classical musicians and artistic directors, cutting out the agent middlemen. “Our mission is to create a transparent industry and give back power to the people who perform and produce classical music… to become the Google of performing arts,” he said. The other finalists were Disco, Atmosphere, Yokee Music and Diggers Factory. Soundcharts won the marketing and data/analytics category for its analytics platform for artists and labels. “We make the experience very personal: you can customise your preferences, your notifications,” said CEO David Weiszfeld. “We’re one of the first technical companies in music that’s built by music professionals,” he added. “That’s a big asset for us.” The other finalists were Rotor Videos, NPREX, The Bot Platform and Instrumental. Vinci Smart Headphones won the experiential tech category, for its headphones that come with AI and voice-control built in. “We’re really looking to focus in creating a strong brand and brand awareness,” said US business director Cathy Cao. “And also creating a strong social connection.” Vinci is hoping to open its platform up in the next three years, and ultimately reach 10 million monthly active users. The other finalists were ORB, TheWaveVR, Pacemaker and SYOS. Is the ‘value gap’ debate anywhere near a resolution? What can blockchain really do for the music biz? Music Ally’s Midem 2017 coverage was supported this year by Music is GREAT, the British government’s campaign to promote UK music exports. The UK and British Music were represented through the British Music at Midem stand, with the Department for International Trade joining forces with music industry associations AIM (Association of Independent Music), BPI (British Phonographic Industry), MPA (Music Publishers Association), PPL (Phonographic Performance Limited) and PRS for Music. Together, they supported over 150 UK music businesses and member delegates as they sought to pick up on the latest trends, connect with international companies, sign deals and develop trading and export opportunities.